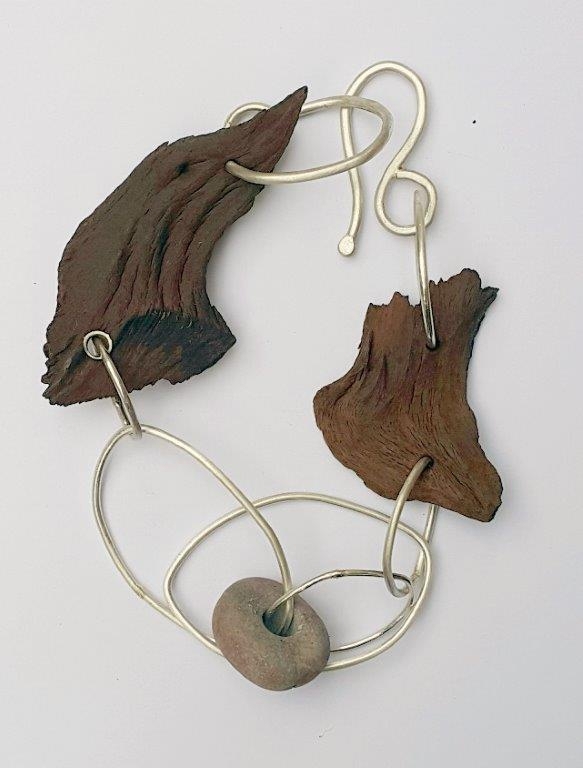 At Smit, Nicki Böttcher and Marina Louw all share the same love for trees. 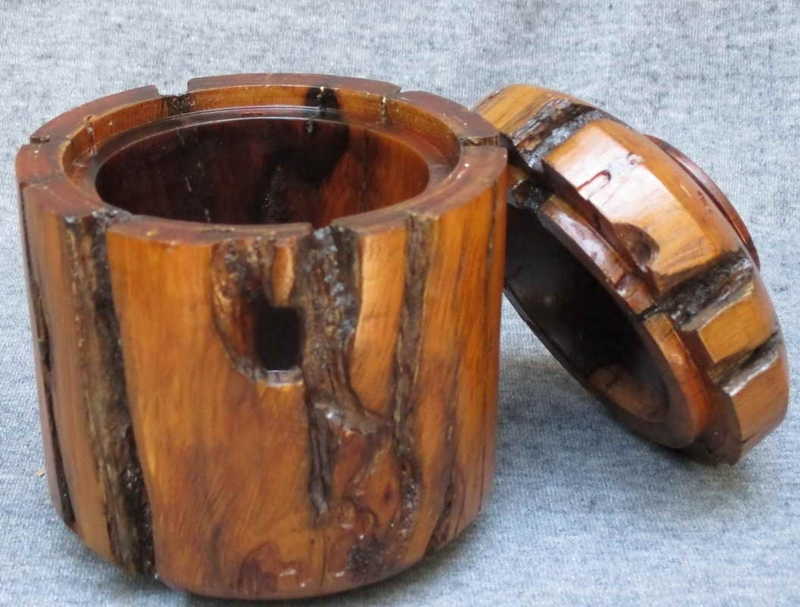 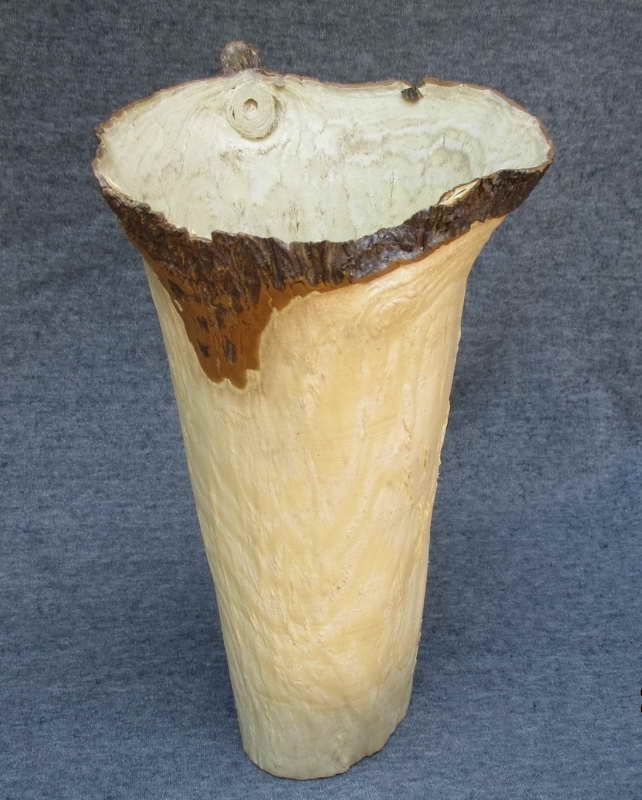 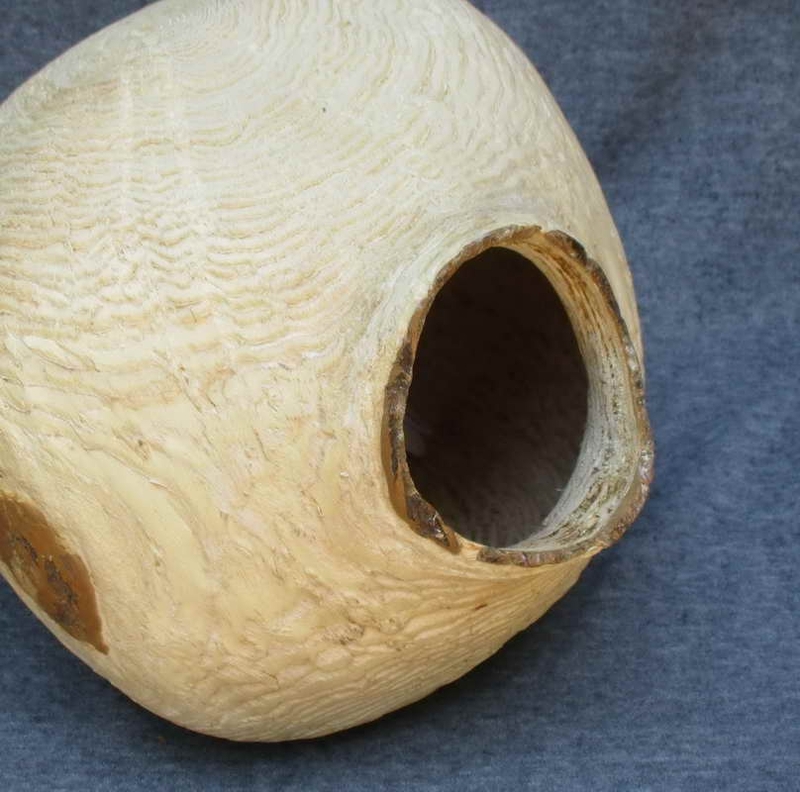 No wonder that in their forthcoming exhibition, wood is the preferred material for their artefacts. 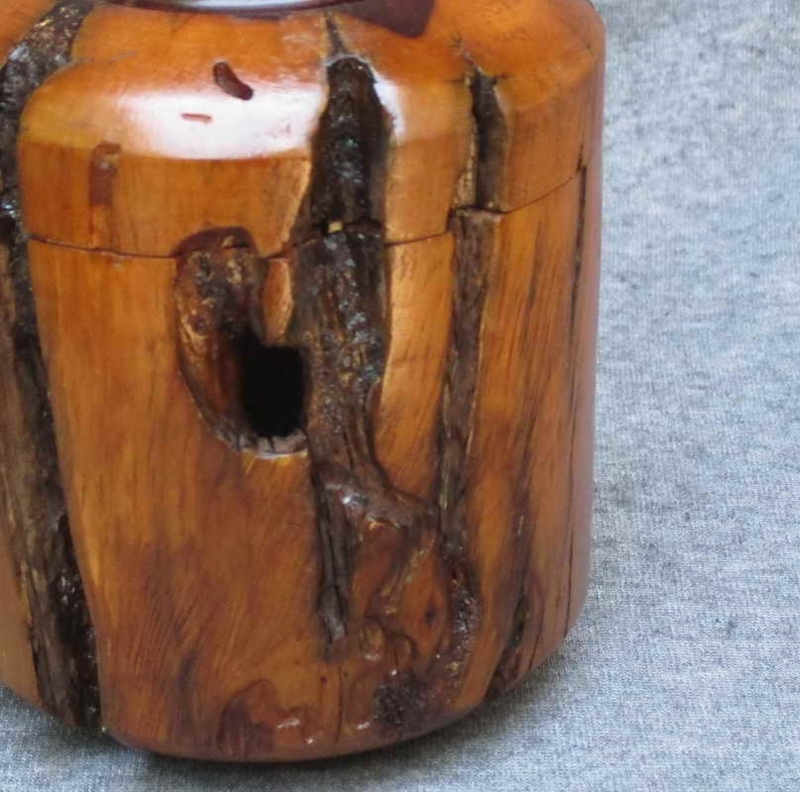 At Smit’s art speaks in the language of wood. 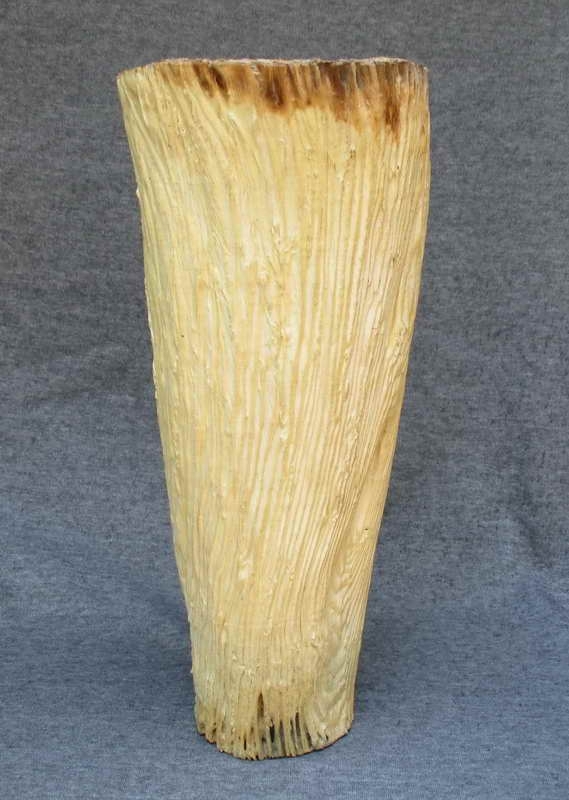 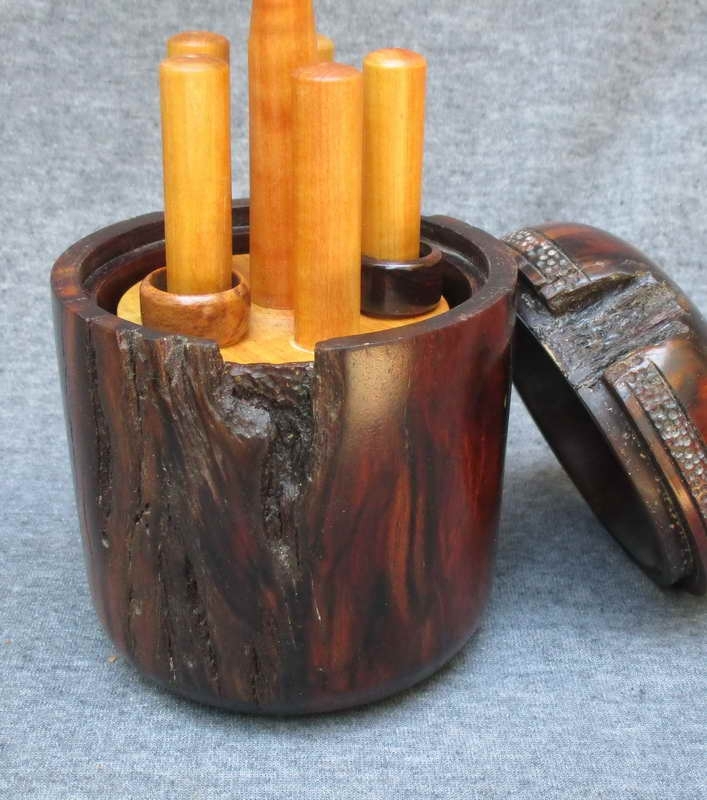 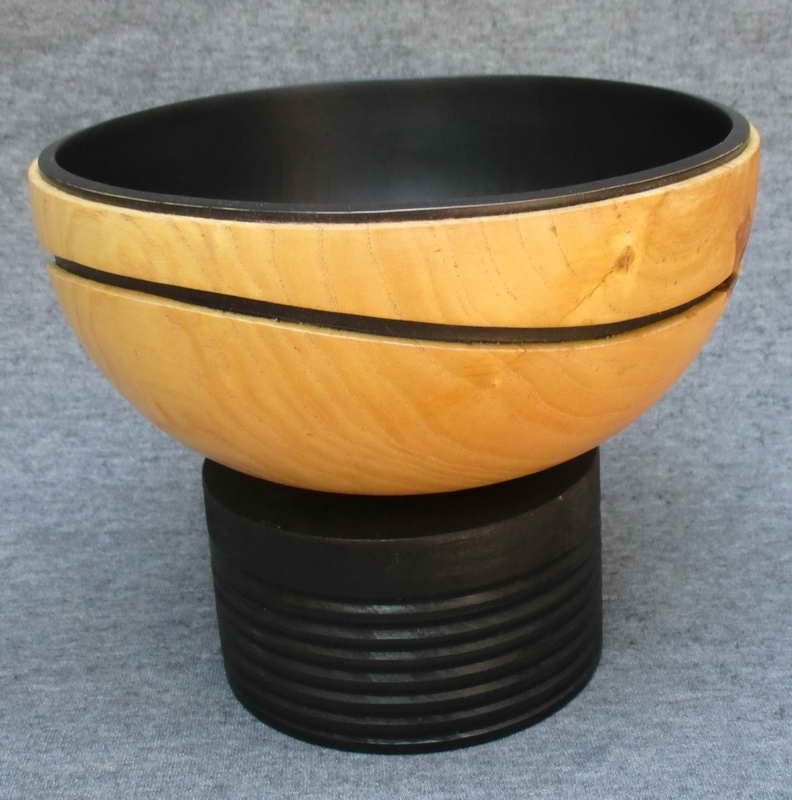 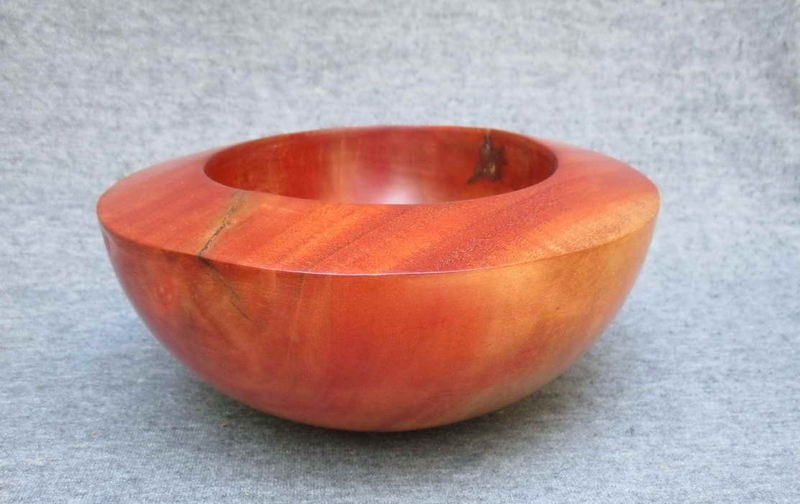 Each of his delicate, precisely turned objets d’art emphasizes wood’s soft splendours of colour and grain. 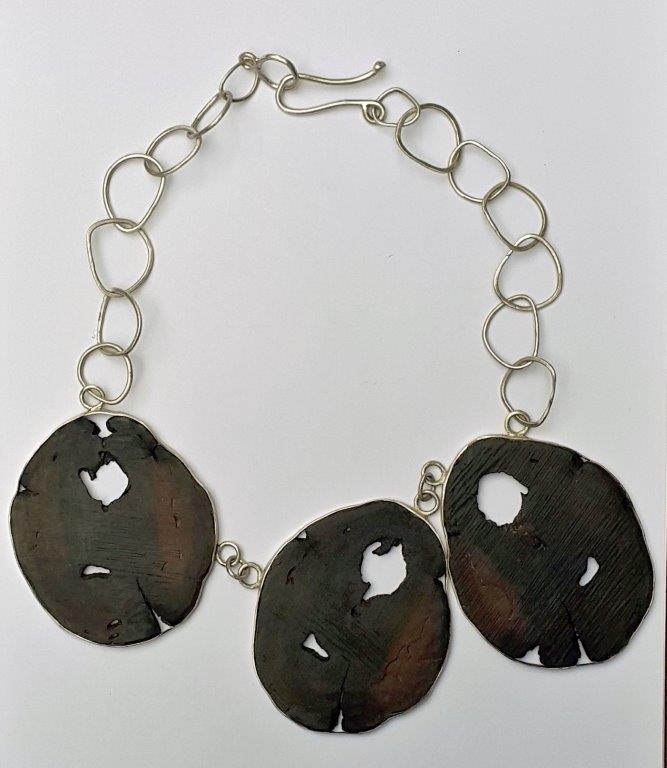 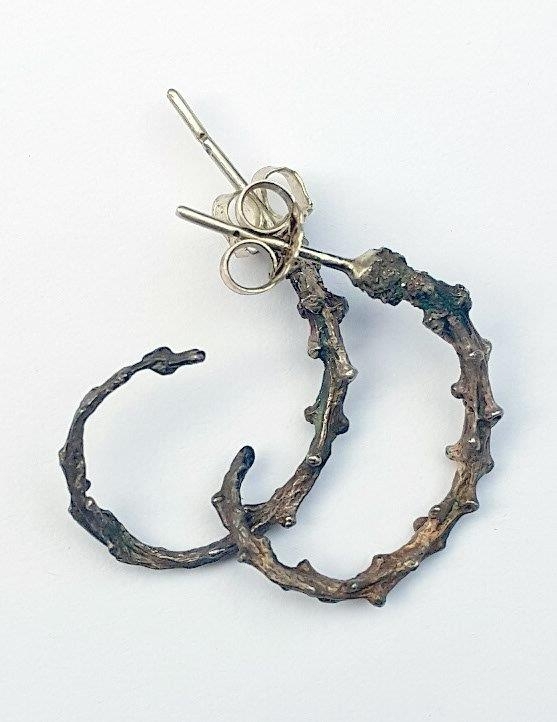 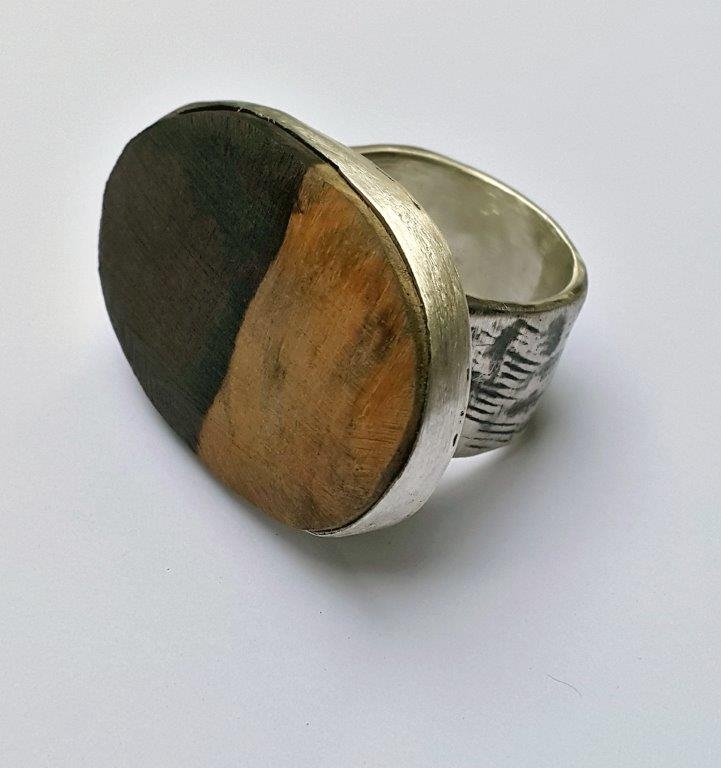 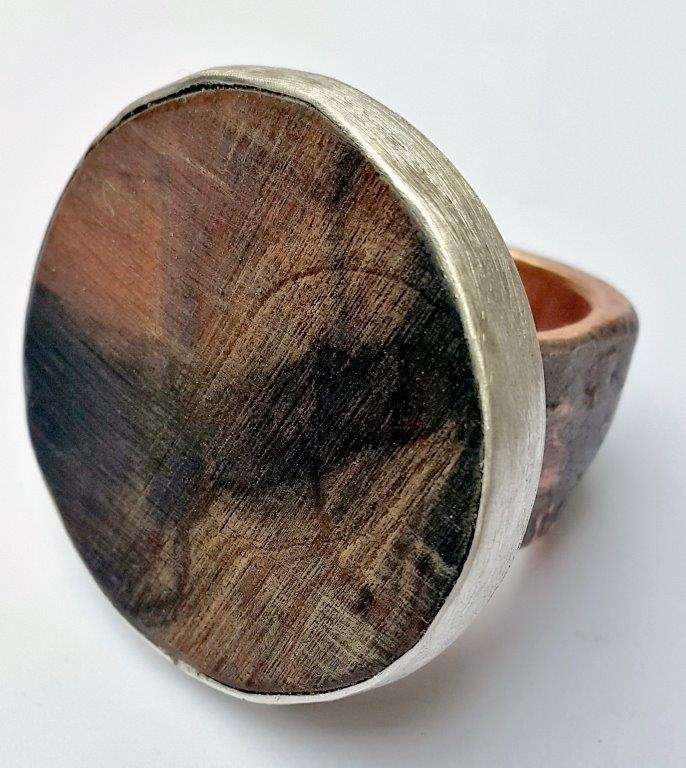 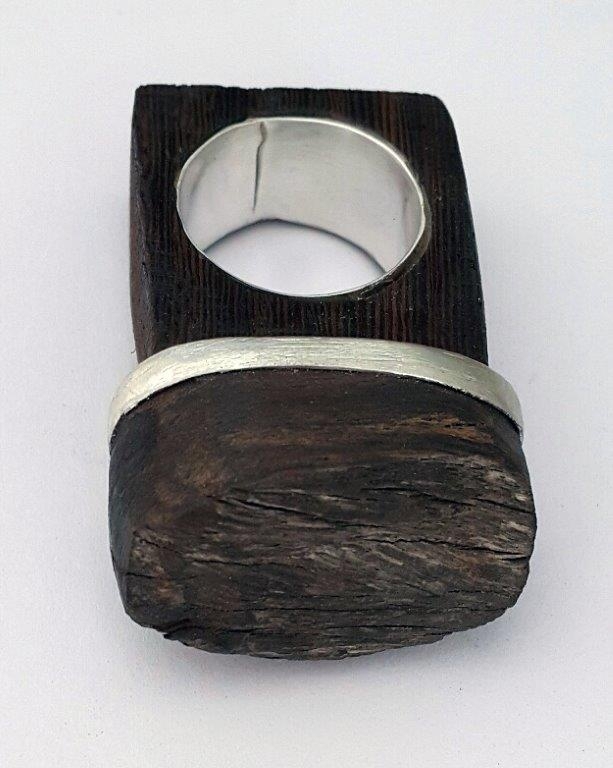 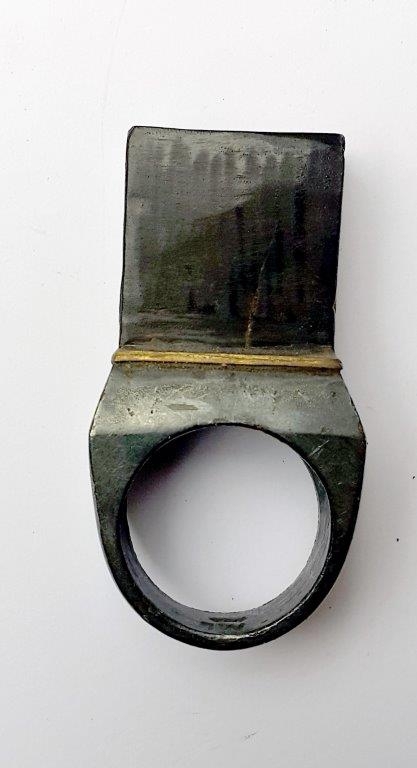 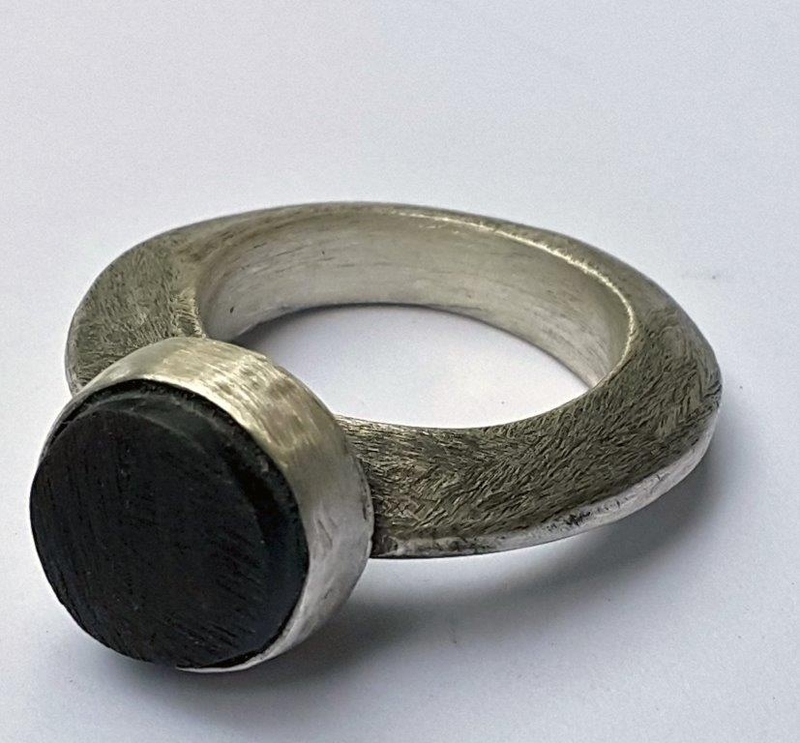 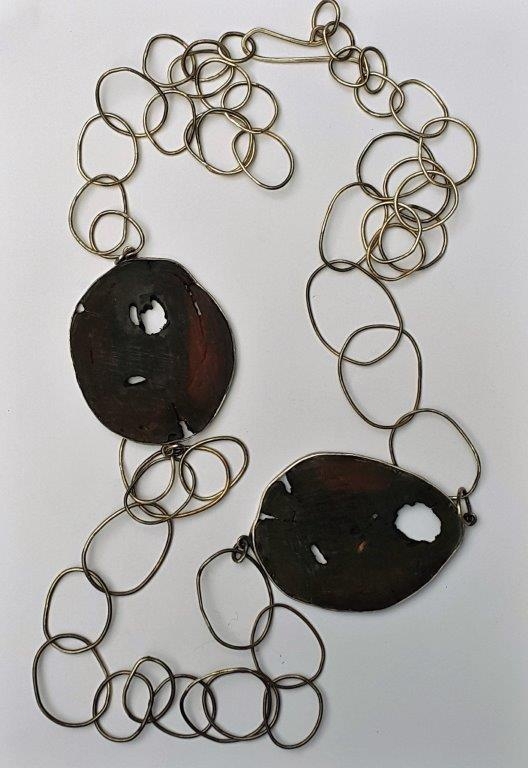 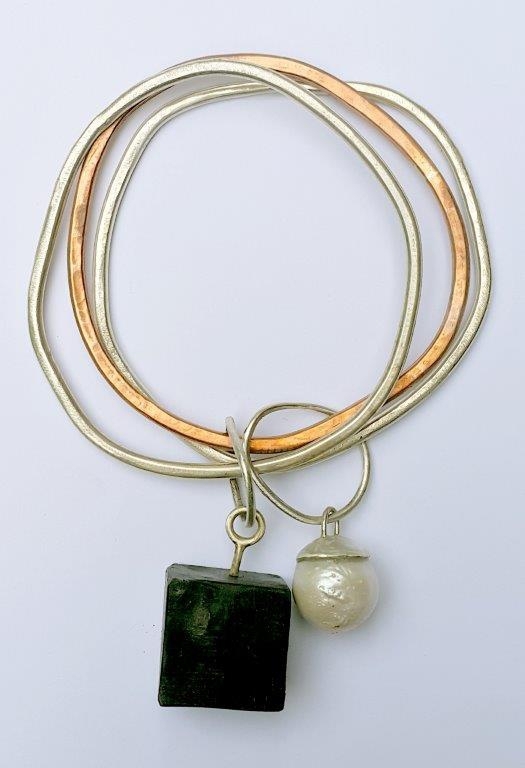 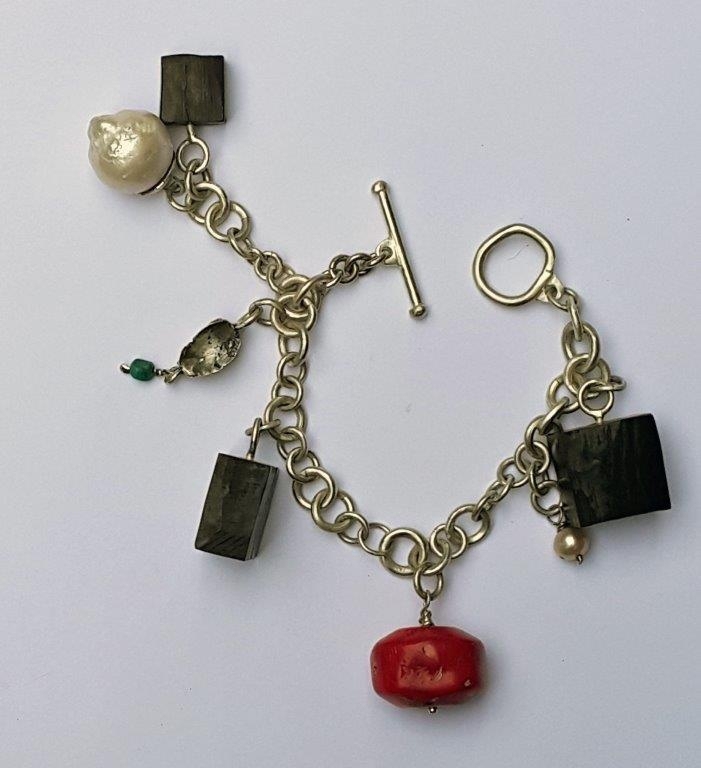 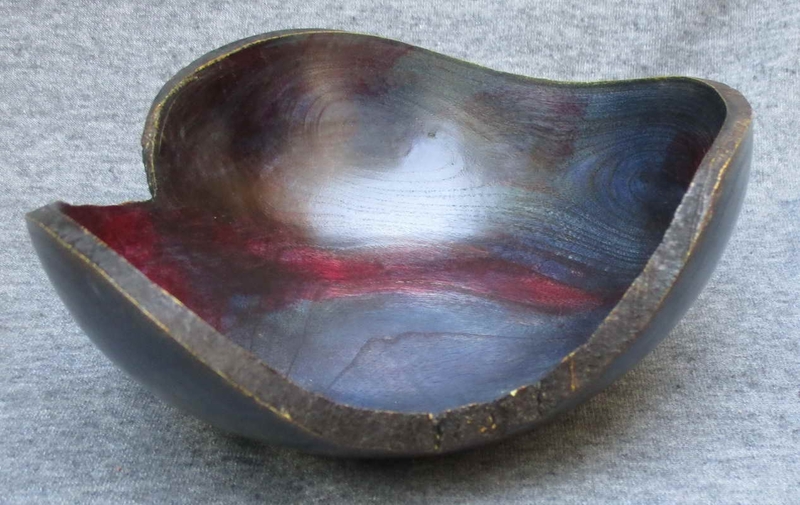 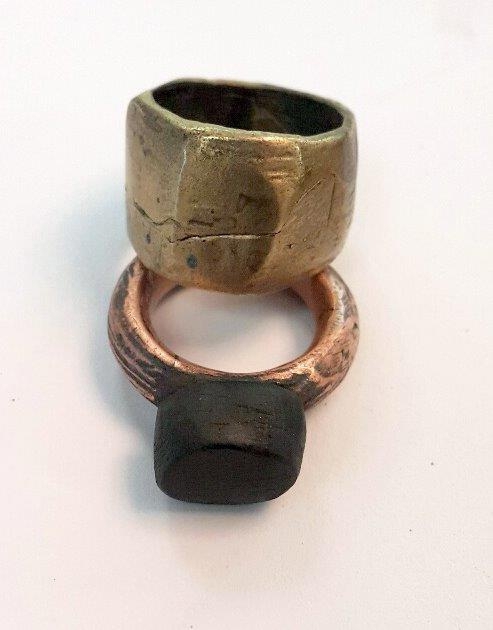 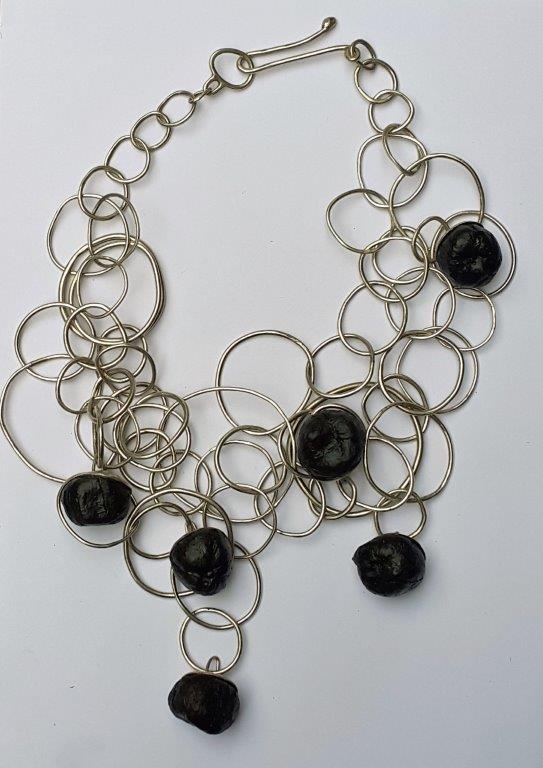 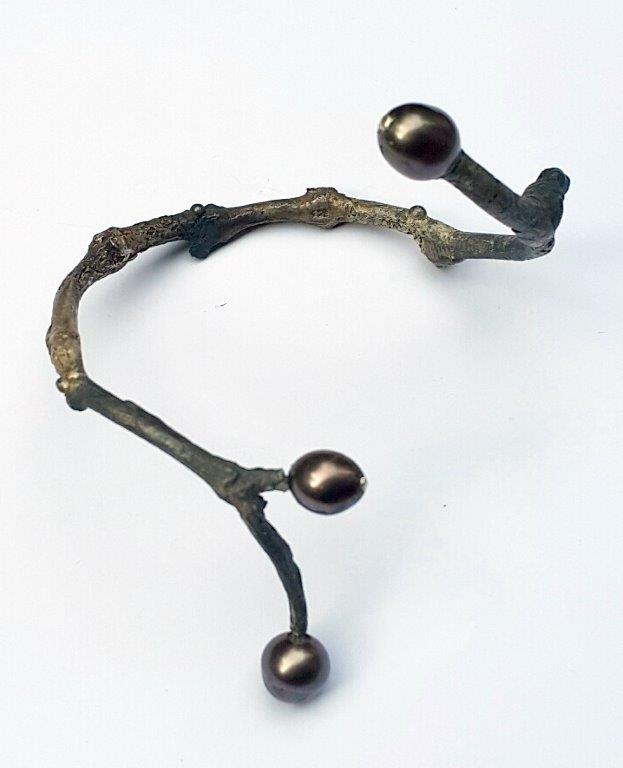 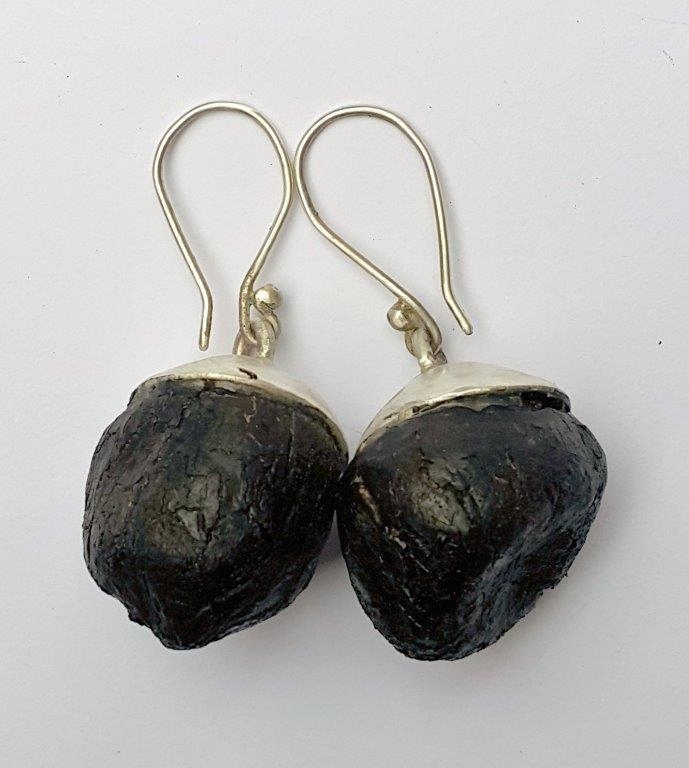 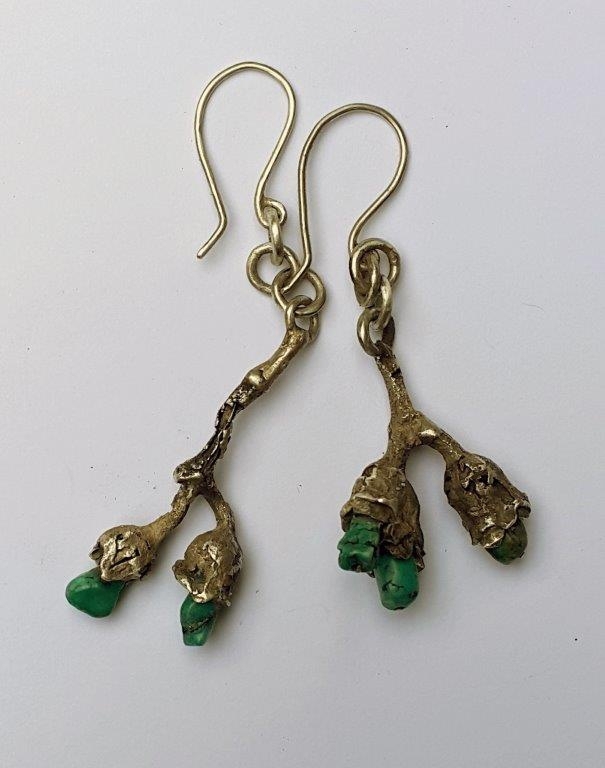 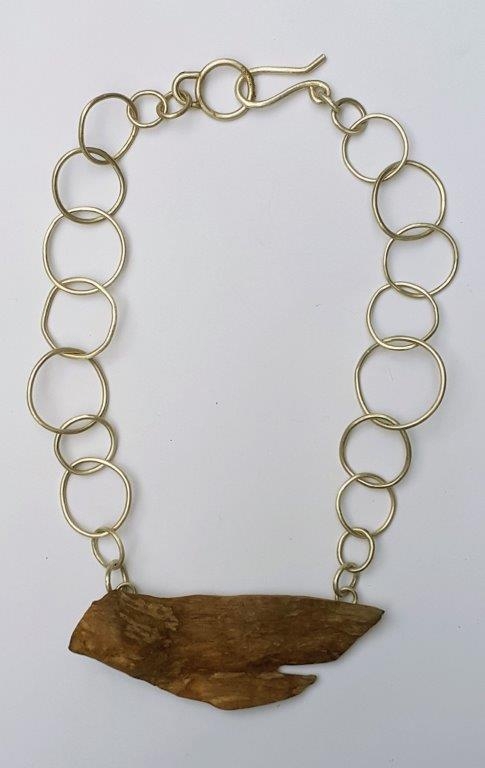 Nicki Böttcher is a goldsmith who uses raw wood to cast functional and artistic silver jewellery which she combines with diamonds, semi-precious stones and pearls. 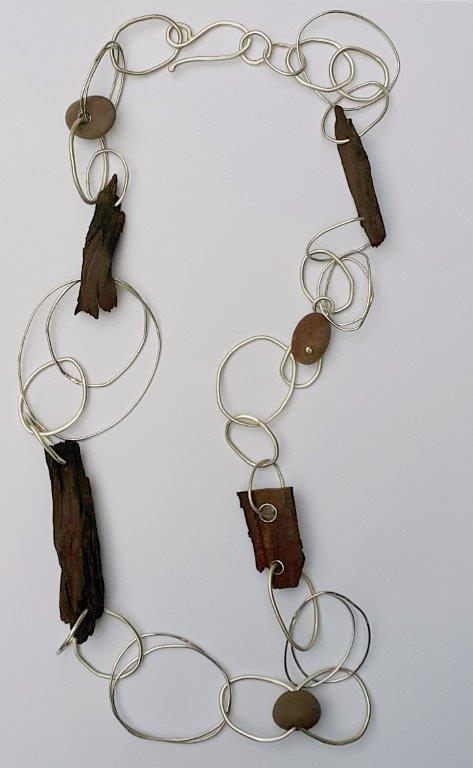 By experimenting with oxidisation she brings forth her interpretation of the character of wood. 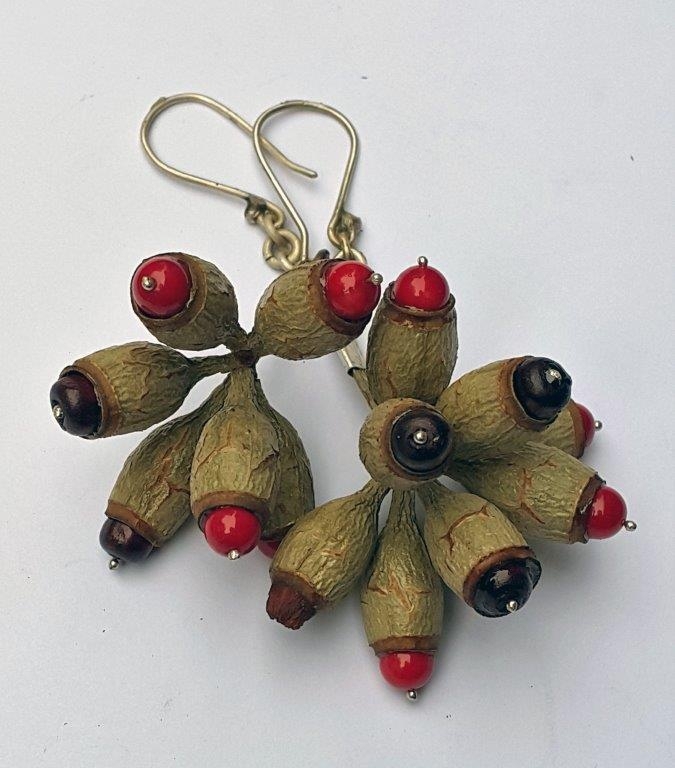 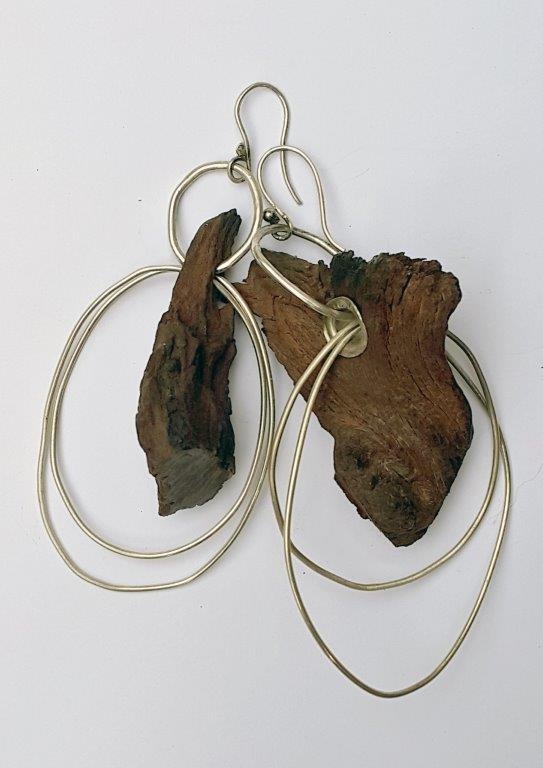 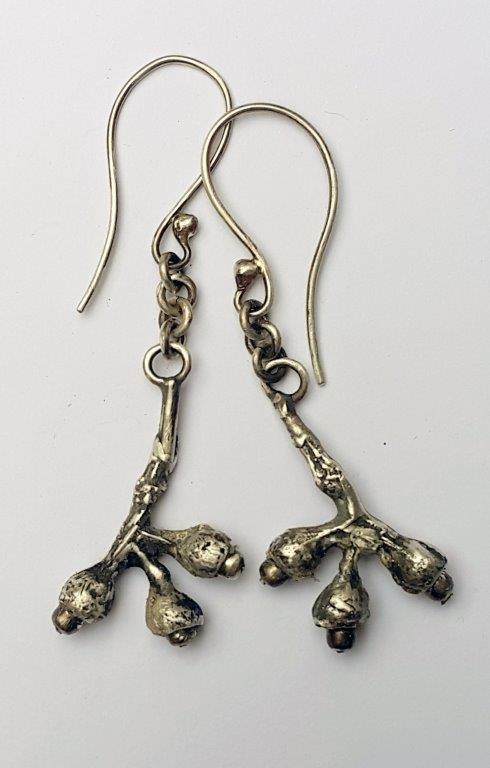 Marina Louw employs raw wood, seed-pods and dry leaves and highlights it with silver, brass, copper and semi-precious stones. 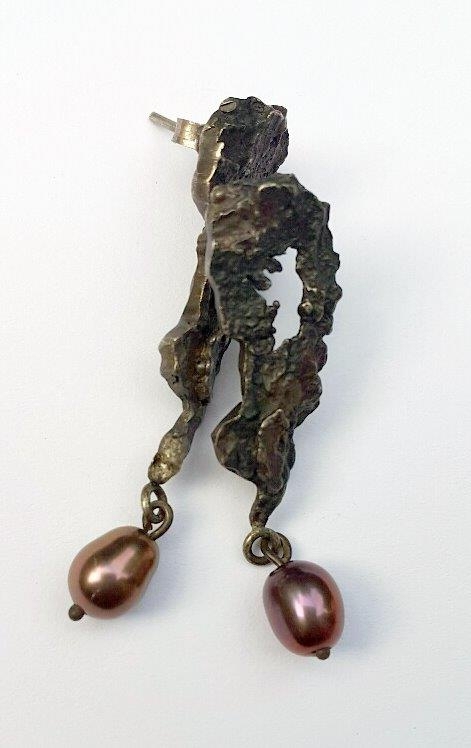 The result is beautifully crafted jewellery in the nature of miniature sculptures. 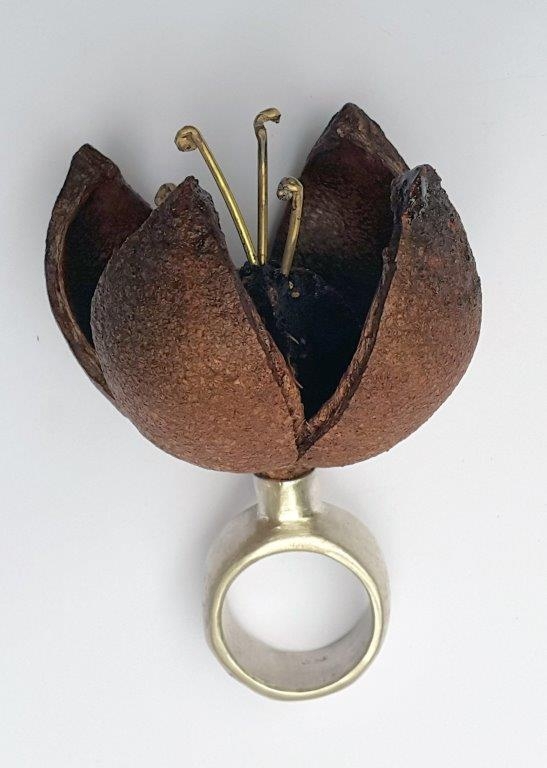 The exhibition will be opened by the well known florist, Willem Jansen van Vuuren, on Friday 18 November 2016 at 18h30 for 19h00 and runs till 15 December 2016.